When you have multiple contacts who work for the same organization, they appear under Account view. By default, the Statuses of these contacts are not in sync. 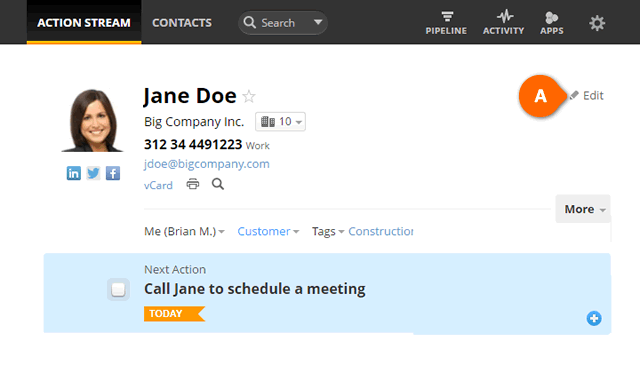 Open Contact view and click on Edit to the right (see A). 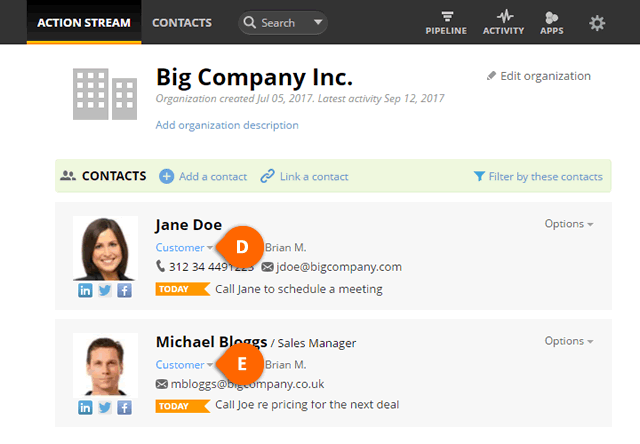 Check the Sync box beside the contact's Status (see B) and the status selected in the drop-down is set to all contacts within the organization. 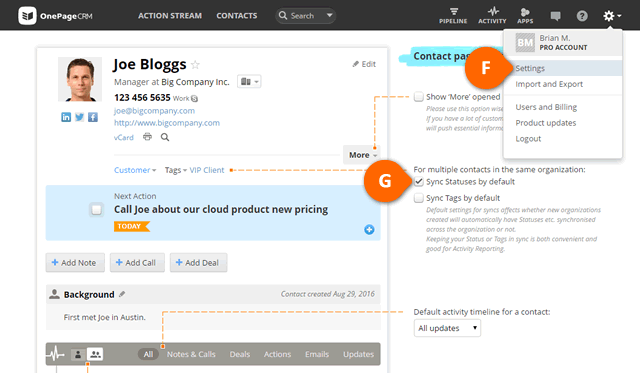 If the other contacts from this company have different statuses, the orange message will show you how many of each status are being set to match this new one (see C). 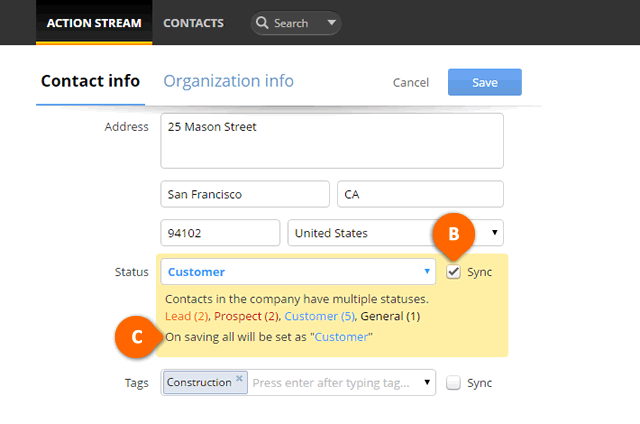 Updating the Status of any contact within the organization will automatically change the Status of the other contacts within the same account (see D & E). Access gear icon > Settings > Preferences (see F) and select the option to Sync Statuses by default (see G).